Fly season is officially here. Order Your Fly Predators if you haven't already! Are you "social" butterfly? Please Leave Us A Facebook Review. Awesome Quick Tip for Bite Free Stable Fly Trap setup! Spring has sprung! It's Fly Predator Time! This year has flown by! Spring is here and in full swing, so if you haven't already, please remember to Order Your Fly Predators. Social butterflies... We ♥ Hearing From You! We love hearing from our happy customers like you! Are you a "social" butterfly? Do you use Facebook? Click here to write a review + you can always at us on Twitter or Instagram. No socials?... Send us an email. We're always happy to hear from you and love receiving pictures of you and your animals! 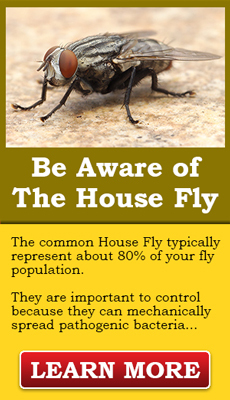 There are SO many types of Fly Traps out there with so many different uses. 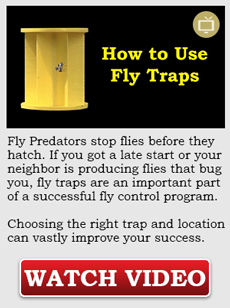 Click here to learn about the different types and make sure you’re getting the correct traps for your needs.